Please use the pulldown menu to view different character maps contained in this font. Copyright (c) Boutros International, 2005. All rights reserved. GE Dinar Two Medium Italic is a trademark of Boutros International. Unicode Unicode 2.0 and onwards semantics, Unicode BMP only. 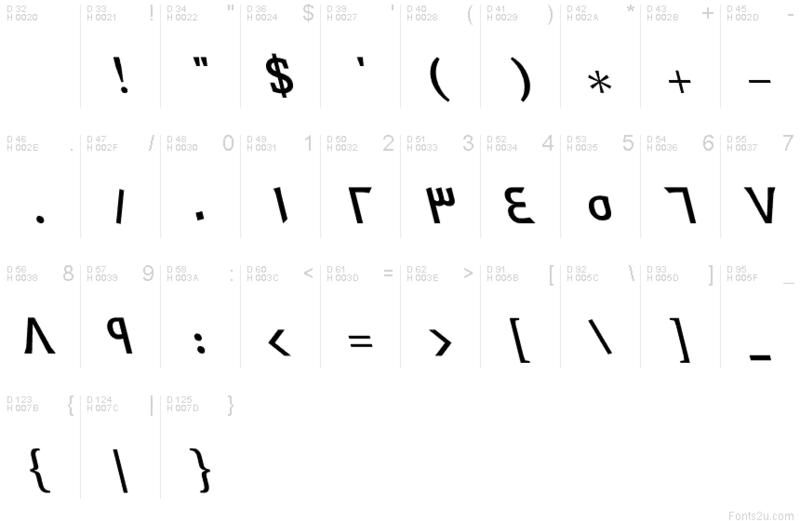 Fonts available at Fonts2u.com are either GNU/GPL, Freeware, free for Personal use, Donationware, Shareware or Demo. Although we have indicated the license type, please make sure to double check it by reading the information shown in the details area of each font to avoid any confusion. Copyright © 2008 - 2019 Yuxar Consulting Corp., all rights reserved.